Don’t Put On The Brakes: Keys to Conquering Running Downhill! If your quadriceps muscles are sore after hilly running, it is probably from the downhill portion. This is because downhill running requires our thigh and lower leg muscles, to contract “eccentrically” or lengthen as we move down the hill. This can actually cause microtearing within the muscle as eccentric loading uses more force than on uphill or flat terrain. This is more costly from an energy and recovery perspective possibly leading to injuries (IT Band syndrome, knee injuries, shin splints). Also, runners increase their speed thanks to gravity’s pull down the hill, encouraging a lot of runners to slam on the brakes, increasing heelstrike adding more stress to their muscles and joints! But not to be discouraged from the down as this extra loading in the long run actually strengthens and helps our muscles adapt to future downhills and eventually faster recovery. 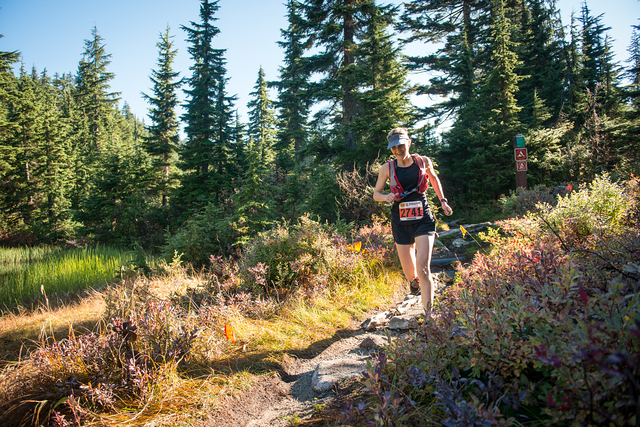 Research has shown that downhill running can improve your pace. A 2006 study in the Journal of Strength and Conditioning Research demonstrated that when sprinters trained on both uphills and downhills they improved their speed and turnover more than just running uphill or flats. http://www.active.com/fitness/articles/6-tips-to-improve-your-downhill-runs With confidence you can master the down using good technique and form. The key is to stay relaxed, working with gravity, while remaining stable and in control. 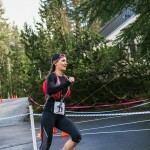 Running downhill can become your biggest asset race day! 1) Look ahead down the hill, about 10 paces; don’t look down at your feet! go tumbling and too much lean back will slow you down, forcing you to heel strike = braking effect = increased impact, shin splints). minimize the impact on your lower limbs. unpredictable terrain and change in direction. which creates more impact = more heelstrike=fatigue= injury. 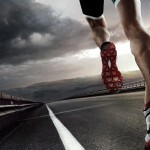 If you can see your feet, they are too far ahead of you! This will throw you off balance pushing your center of gravity back, slowing you down. Try to shorten your stride, think light, quick steps ( hot coals or dancing feet), this will encourage more of a forefoot/midfoot strike, lessening the impact up the leg.